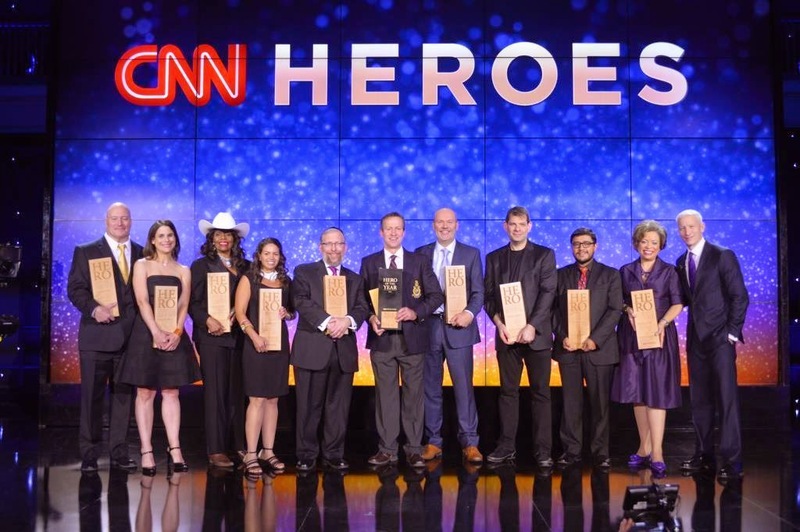 CNN Heroes aired tonight, with Anderson Cooper as the host. Please check back tomorrow afternoon for a full run down of the event. 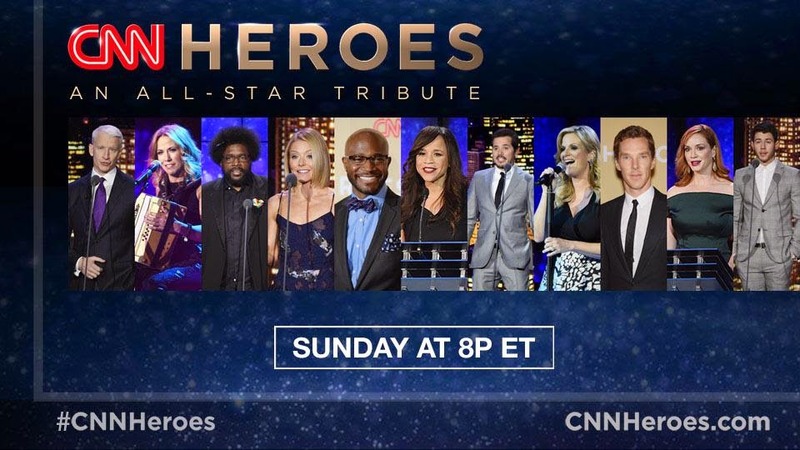 Once again, CNN Heroes was great last night. It's always such a wonderful evening where we can take a break from the depressingly negative news cycles to focus on a few great people who toil in perfect anonymity trying to make this world a better place. I loved the man who was teaching music to war vets with serious injuries, too bad he didn't win. As an aside, Ben could be seen sitting at a table next to Mark Consuelos and Kely Ripa, behind Kathy Griffin. He was on the screen a few times, most clearly during the president of Subaru America's speech (clapping his hands seated next to Mark). Dear 9:29 AM enough with the Ben sightings already, we get it. Dear 10:23AM, why are you so unnecessarily rude to that other poster who mentioned seeing Ben in the audiences of Heroes? Why do you have to treat Ben like a dirty little secret that dare not speak its name? Would you react the same way if someone pointed out seeing Anderson's mom Gloria in the audience? Thank you 12:48pm, I don't think anyone would react to someone mentioning Gloria being in the audience the way 10:23am did about Ben. I really don't understand the double standard. Are there some around here who still cannot accept that Ben is very much part of Anderson's family? And if that's the case, why is that? I loved Heroes as always but was somewhat disappointed with the winner this year. Of all the wonderful people nominated, I thought his work with dogs, while evidently commendable, was the least worthy of the big prize. But that's just a minor criticism, I still enjoyed the show. Thank you Anon 12:48. You took the words right out of my mouth. After 5 years of being together, the relationship between Ben and Anderson should be respected just like any other couple's relationship. I just want Anderson to be happy in life. Anon 12:48 and others, I think the difference is Gloria is a person of major accomplishments in business, the arts and in history because of the Vanderbilt connection while Ben is know (famous?) as Anderson’s partner and the owner of some NY bars. It’s hardly a fair comparison but then few people can compare to Anderson’s mother. Some people who read and comment at ATA are disappointed that Ben seems persona non grata but in fairness if these bloggers were writing a Brian Williams blog they wouldn’t be blogging about his wife or daughter, the focus would be on the newsman. ATA has never spent a time delving into Anderson’s personal relationships, including Steve, Julio and others. Why start now? Phebe... I appreciate the way that the ATA team has not turned this website into an Anderson gossip column. Maybe thats the reason its survived forso long. Keep it classy! But at the same time, i think what the majority of us are asking, is that when Anderson is at a CNN function or an Oscar function, or his mother's art show with his partner Ben, that we or the ATA team or you shouldn't be chastised for simply mentioning that Ben is in the same room or attending the same function with Anderson. Thats not gossip. Its no.different than saying Anderson attended an event with Gloria or Kelly Ripa or posting vacation pictures in Italy with Mark Consuelos and friends. Dear Phebe, I respectfully disagree with you. I think some people around here simply dislike Ben, for no logical reason whatsoever. No one had any problem with 9:29's identifying Kelly Ripa, Mark Consuelos and Kathy Griffin in his/her post. Only Ben generates the kind of dismissive comments that 10:23 wrote. There's a real belligerence coming from certain people around here whenever someone dares to bring up Ben. @Anon 7:27 Seems that people like you are part of the problem. Anon 9:29 only mentioned Mark Consuelos, Kelly Ripa and Kathy Griffin in relationship to Ben. She was describing where Ben could be seen on screen. They are famous people that are easily recognizable. Ben is only known to people who follow Anderson because he's dating Anderson. He may be known in the NYC gay community as part owner in a few gay bars, but not to the general public. The last I knew, Ben was Anderson's partner but not a part of his family, unless Anon 3:00 considers partners family vs. the standard definition of family. I am not in denial that Anderson is gay, his partner is Ben and they have been dating since the Spring of 2009. I just don't find Ben's every move worthy of comment. If Anderson were to pose with him on the Heroes Red Carpet or mention him from the stage, that would be worth inclusion on the blog and a comment. I want Anderson to be happy in his personal life and he seems to want that aspect of his life kept somewhat private. He doesn't post photos of Ben on his personal Instagram page, tweet about him and has only mentioned him on television as "partner" a very few times. You could tell he was very uncomfortable talking to Howard Stern about his relationship and very ambiguous in his answers when Howard pushed. Perhaps we should take our ques from Anderson? This site is about Anderson Cooper and AC360. If a Anderson or the papz post a photo of him with Ben, we will post it if we see it and it's not protected by a private photographer's mark. As one of the ATA Team, I'm a little disheartened that people would rather discuss Ben than Anderson or his body of work. Is anyone interested in a post recapping Heroes and some behind the scenes video I found and had intended to post, or are you all only interested in discussing Ben? Thanks Wonz for putting things into perspective intelligently. Would love to see what you found and the recap would be nice since I did miss the show Sunday night. Yes. I would luv to see any further video you have on Heroes. One of my favorite nights to watch CNN during the year. And thanks again Wonz for the terrific job you do with this website. It is much appreciated. Thanks for the offer Wonz, but most of us would prefer to discuss Ben, so you can keep that recap post of Heroes to yourself. Your self-righteous tone of superiority and condescension for those of us who are interested in all aspects of AC's life including his relationship with Ben is the reason why this site has lost most of its readers. Next time you contribute a post, you might want to avoid insulting the very few people that still check out ATA.